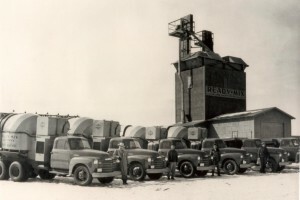 Dickinson Ready Mix Co. & Concrete Products began operations in May of 1950 under the name of Ready Mix Co. Long-time company president Jack Olin left the North Dakota Highway Patrol to become General Manager of the company in 1961. 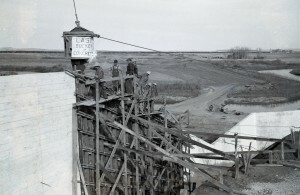 Dickinson Ready Mix Co. was one of the charter members of the North Dakota Ready Mix & Concrete Products Association when it was formed in 1966. Current General Manager, Scott Olin was hired as sales manager in 1981. His son, Ben Olin, became DRM’s Quality Control Manager in 2014 thus making the third generation of Olins at DRM. 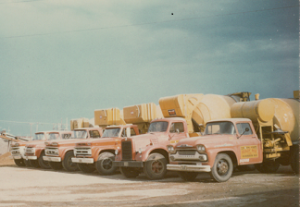 In 1986, with the acquisition of Dickinson Concrete Products, the company expanded and diversified its product line to include concrete block, brick, precast concrete products, contractor and masonry supplies, and landscaping products. Current Products Division manager Doug Braun joined the company at that time. Currently the company owners are Scott Olin, Mike Fisher and Suzanne Medley. In 2010 DRM built and moved into a new 15,780 sf state-of-the art batch facility/office. 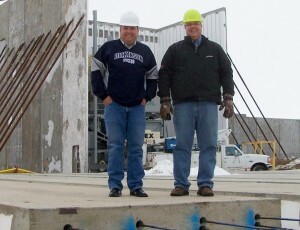 Today Dickinson Ready Mix Co. serves 10 counties in southwestern North Dakota with its Ready Mix operations while the Products Division has sales in 4 states. 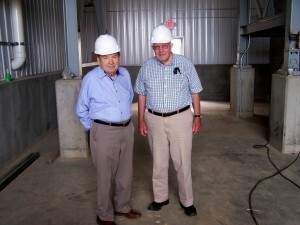 For over 65 years, Dickinson Ready Mix has been deeply involved with the growth of Dickinson. 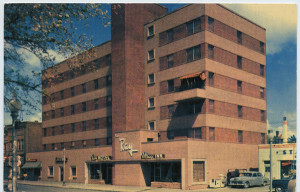 Some of our first jobs in 1950 were the construction of the Dickinson Dam, and the foundation for the Ray Hotel which was built on the same spot as it’s predecessor, the St. Charles Hotel which had burned down the year before. For the next six decades, Dickinson Ready Mix has supplied the Ready Mix Concrete for all of Dickinson’s signature projects ranging from Commercial builds like the Super Walmart and the Menard’s; to the Community Projects that enhance the lives of our citizens like the Biesiot Activity Center or “Fisher Field” home of the Dickinson Blue Hawks! 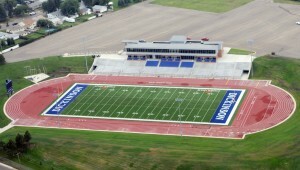 Fisher Field at Dickinson State University-Home of the Blue Hawks! DRM will continue to provide ready mix concrete for farm, commercial, and residential applications as well as supplying masonry products, precast concrete products, a complete line of contractor supplies, a complete line of landscaping products and now Logix ICF Forms. 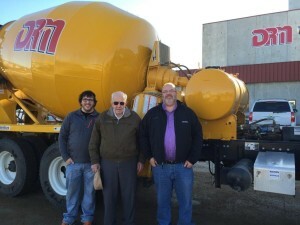 Dickinson Ready Mix Co. & Concrete Products is the Concrete Superstore for southwestern North Dakota.